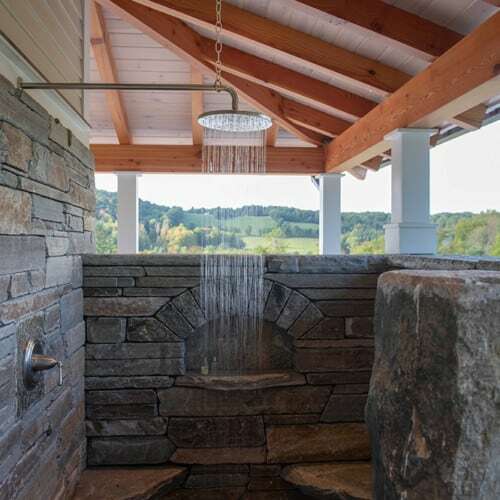 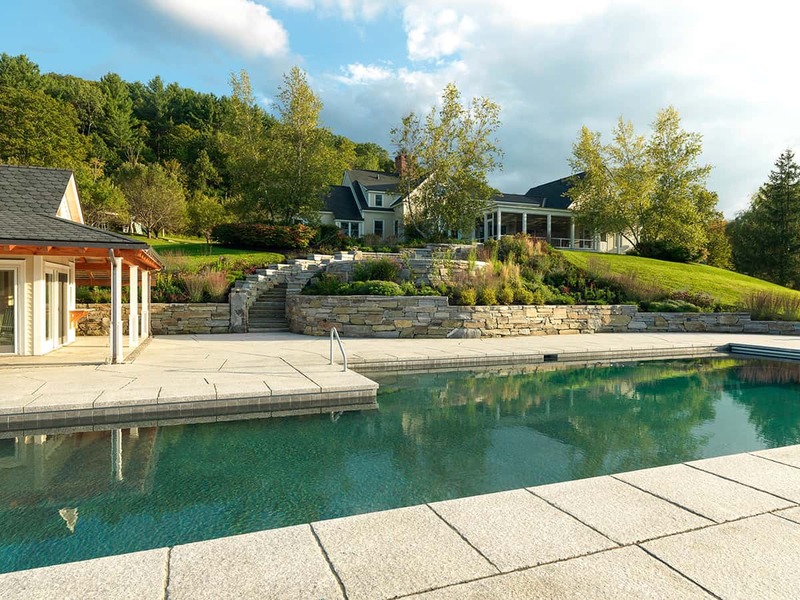 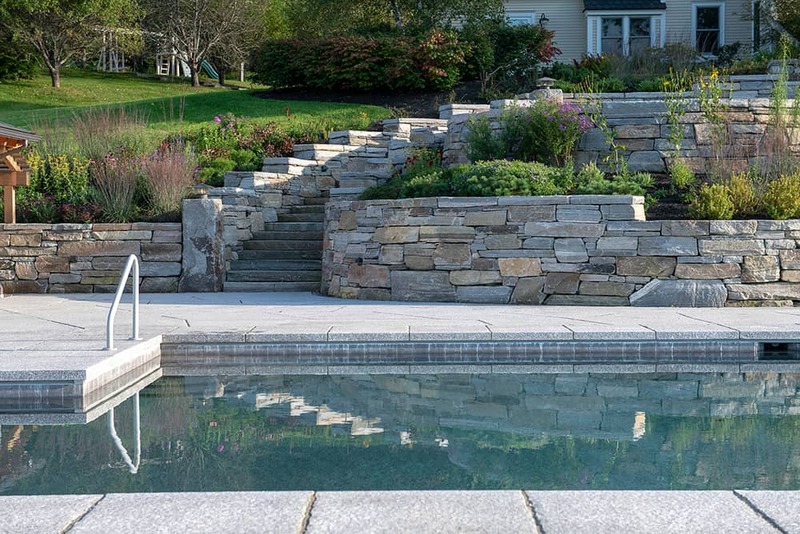 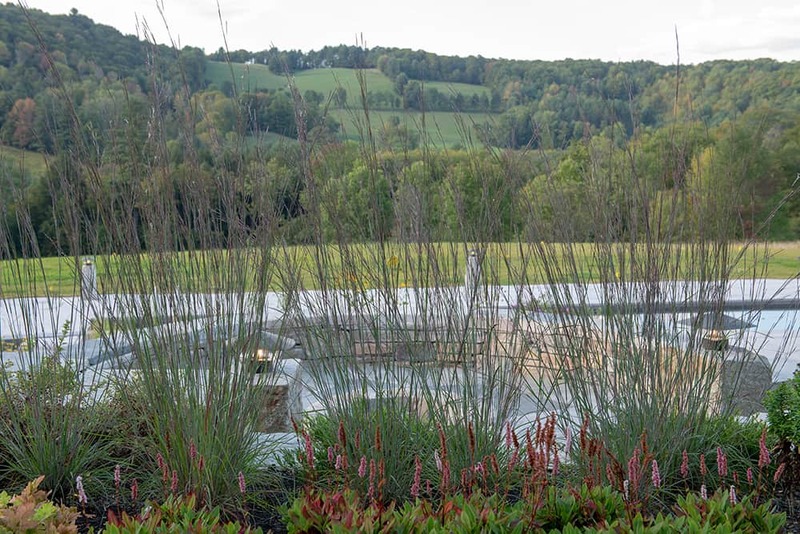 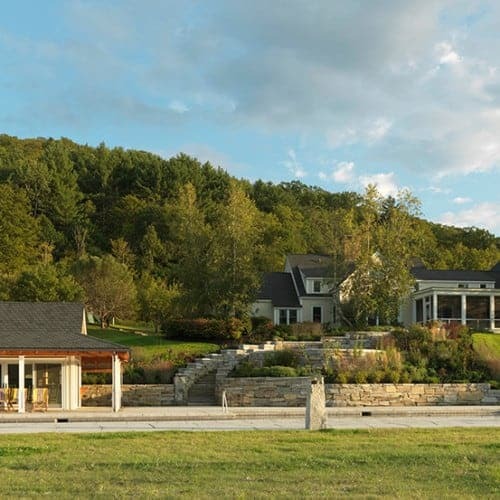 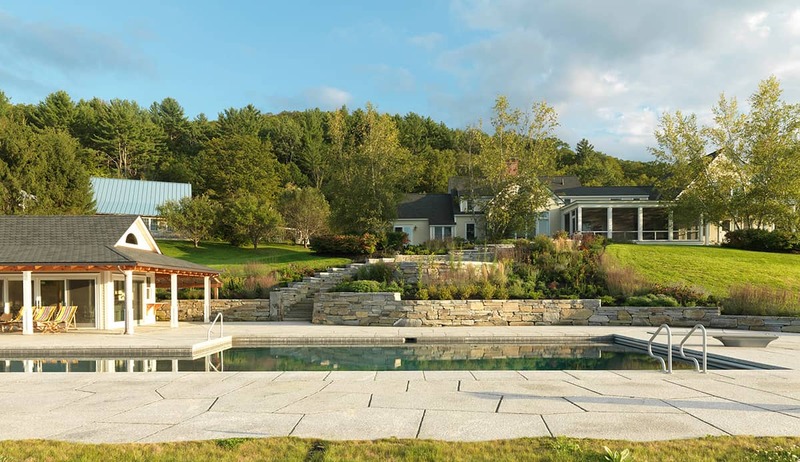 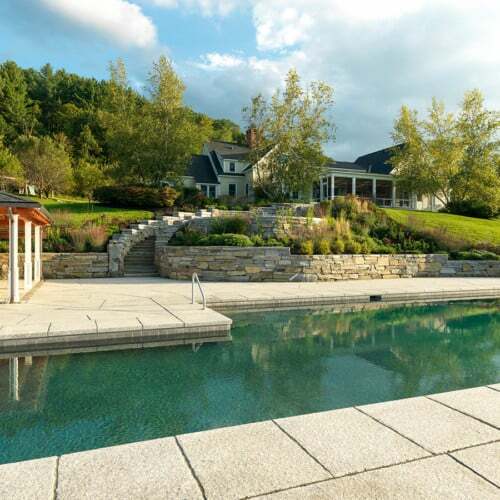 At the back of this renovated Vermont farmhouse, JMMDS designed an elegant landscape, including a stone stairway that cascades downhill to a firepit terrace and large pool, terrace, and pool house at its base. 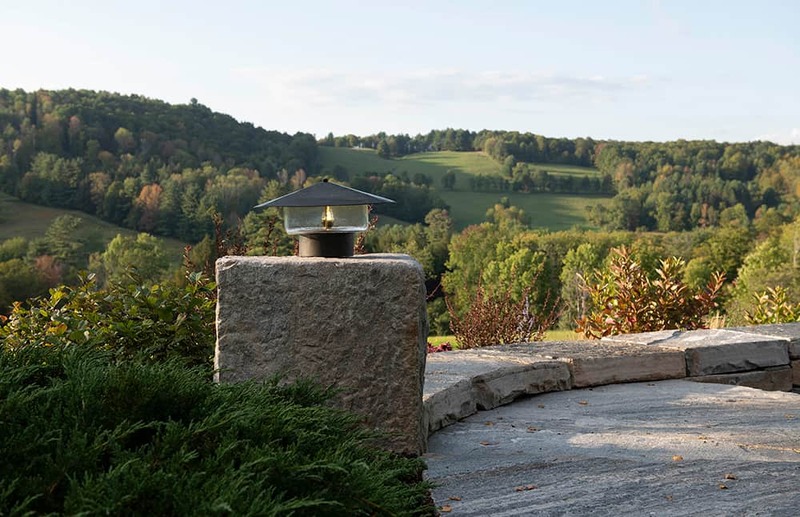 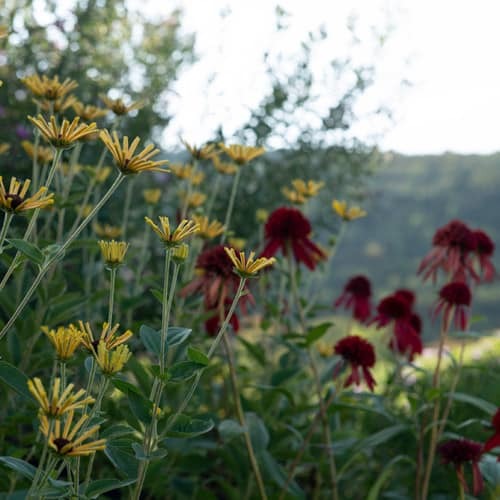 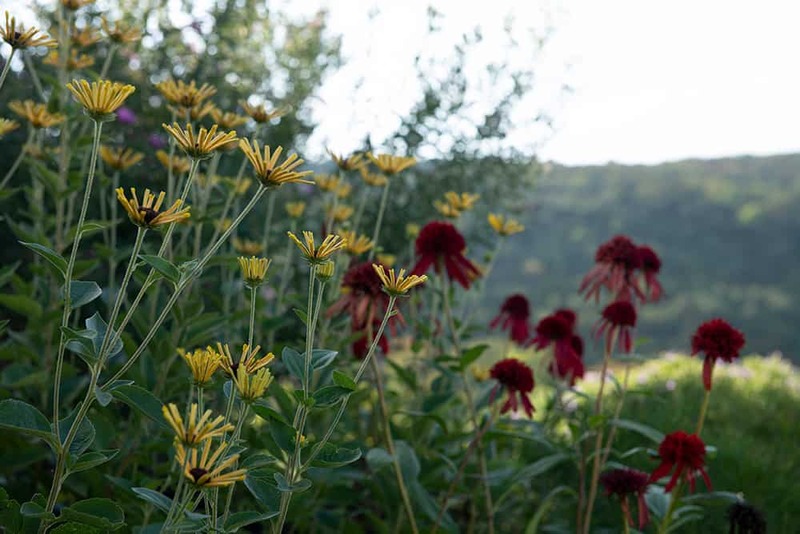 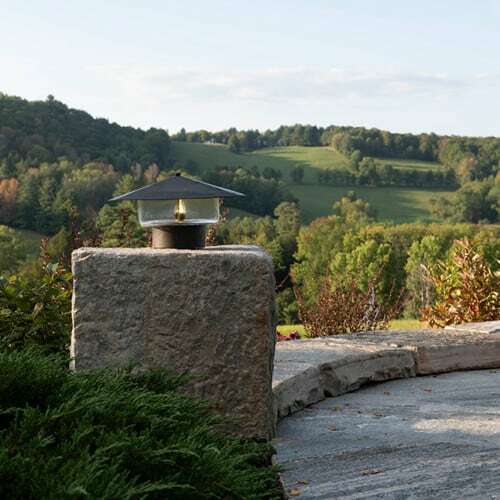 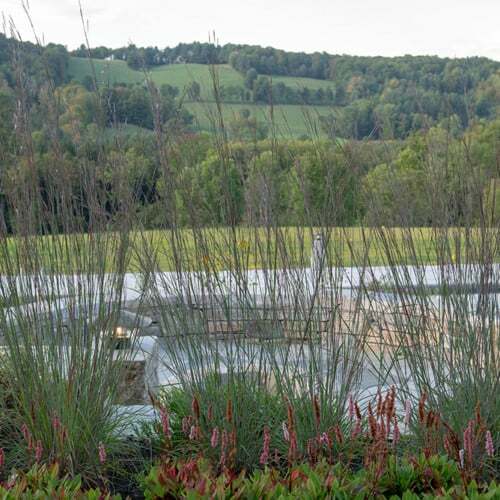 Lovely flower-filled garden beds soften the stone walls and post lights frame the views into nearby upland meadows. 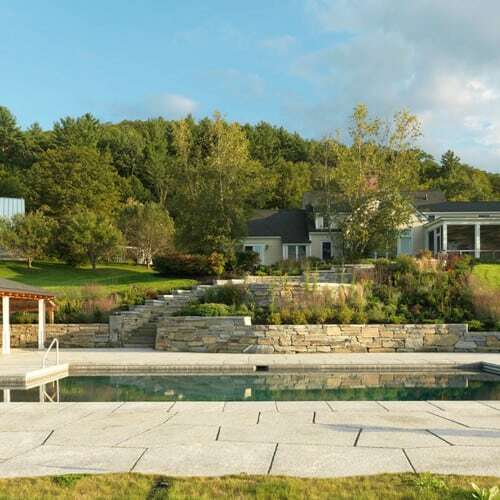 Looking from the wildflower meadows across the pool to the curved retaining walls up to the farmhouse. 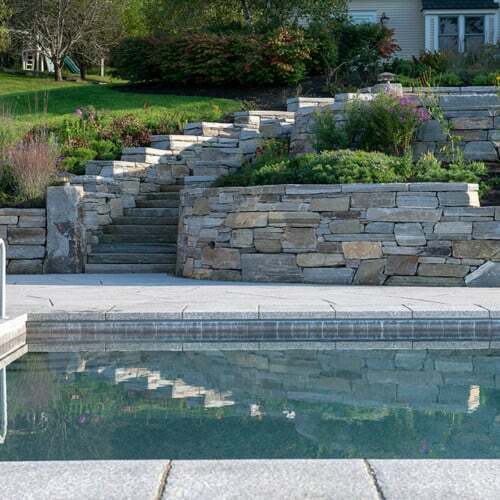 The design unites a 10x20’ lap pool with a 20x40’ swimming pool, complete with steps in, swim outs, a deep end, a diving board, and lockable pool covers. 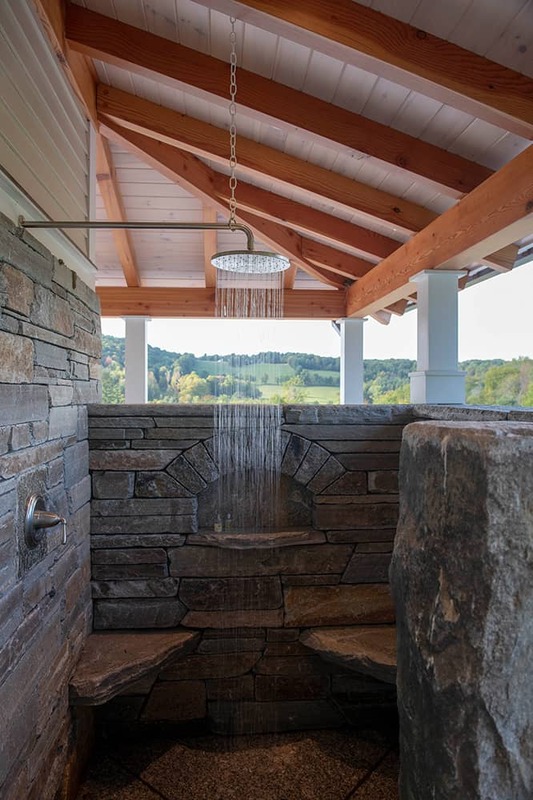 Working closely with the mason, JMMDS designed a shower stall made of stone with corner bench and niches for toiletries. 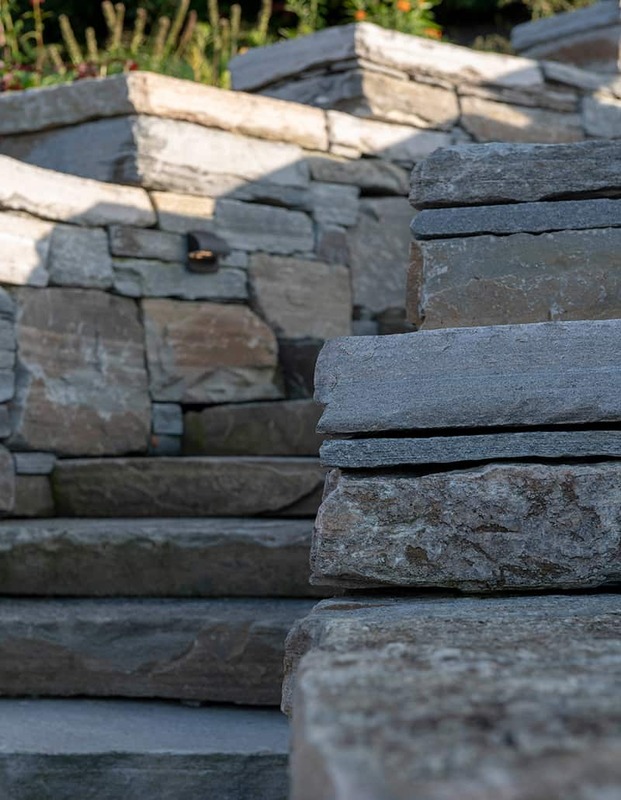 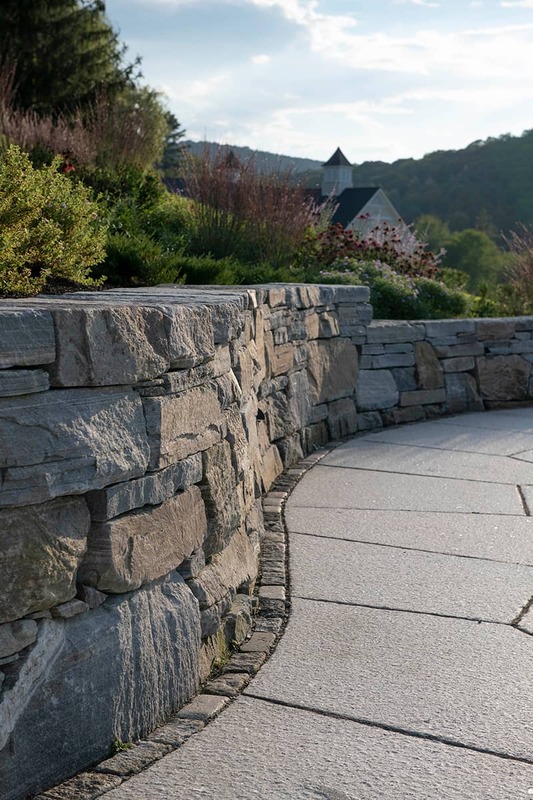 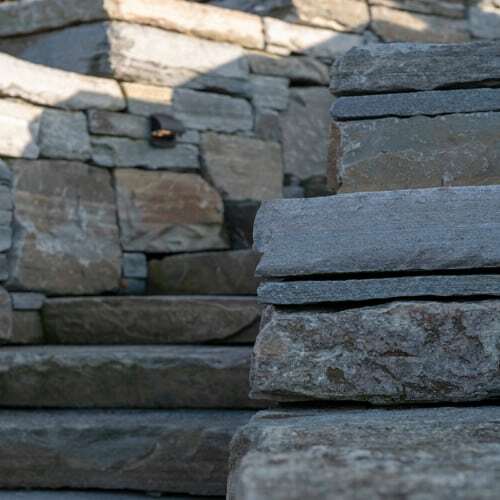 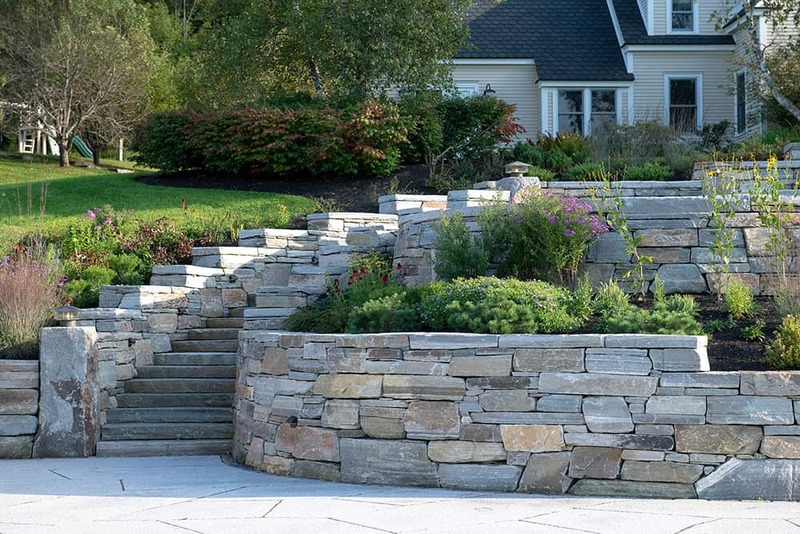 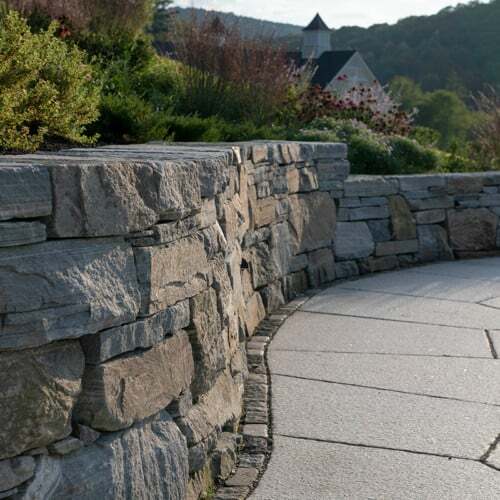 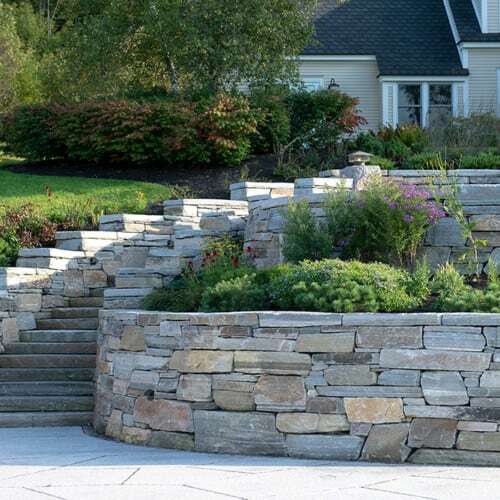 Stone steps are built to move down the hill in a consistent rhythm. 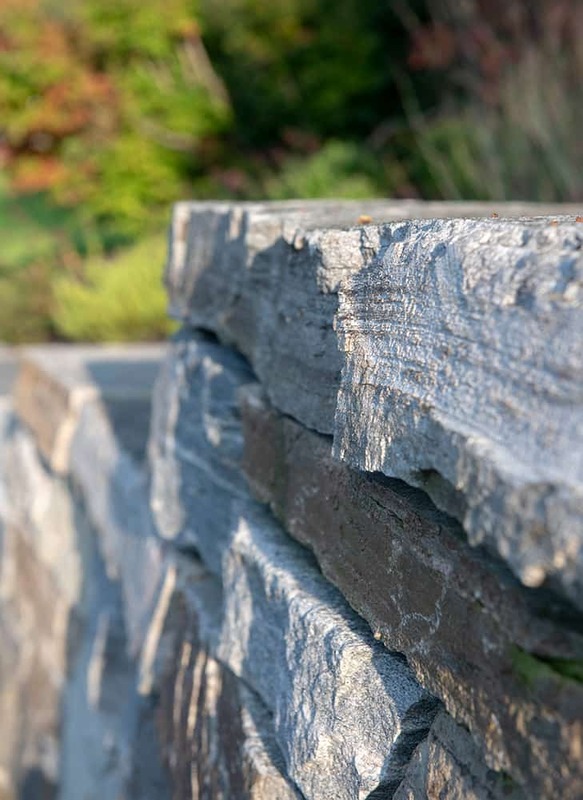 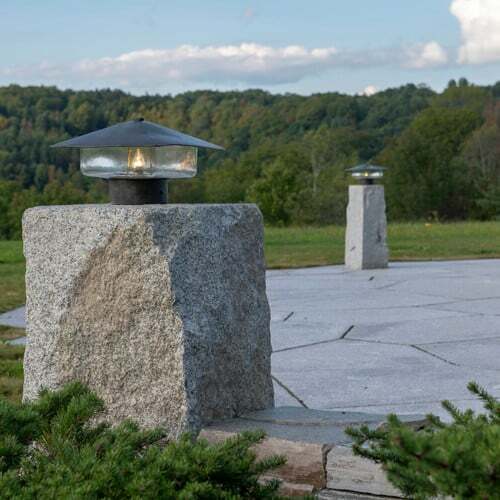 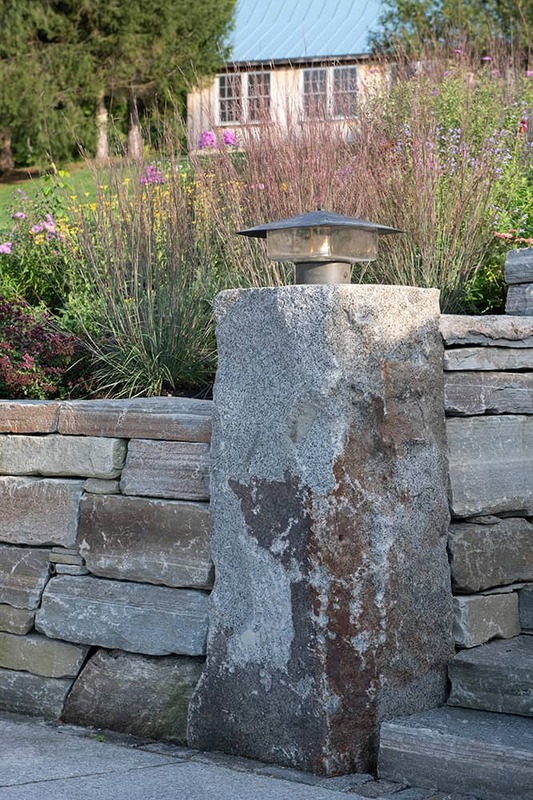 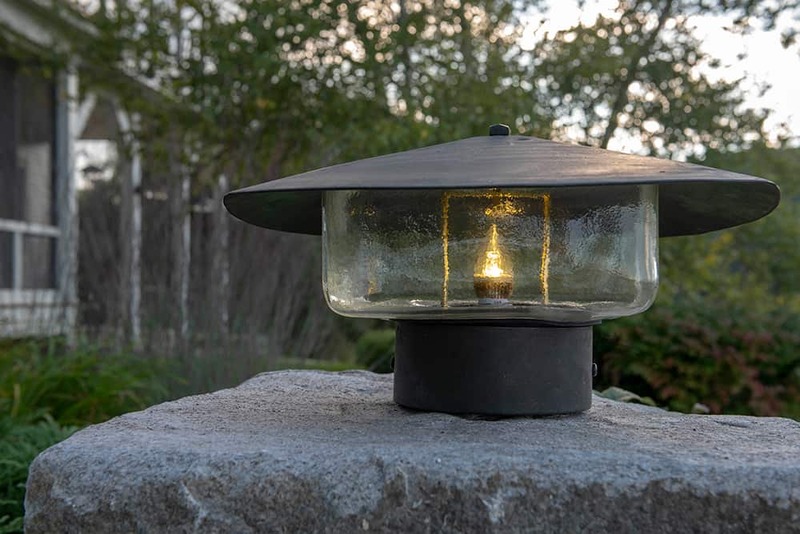 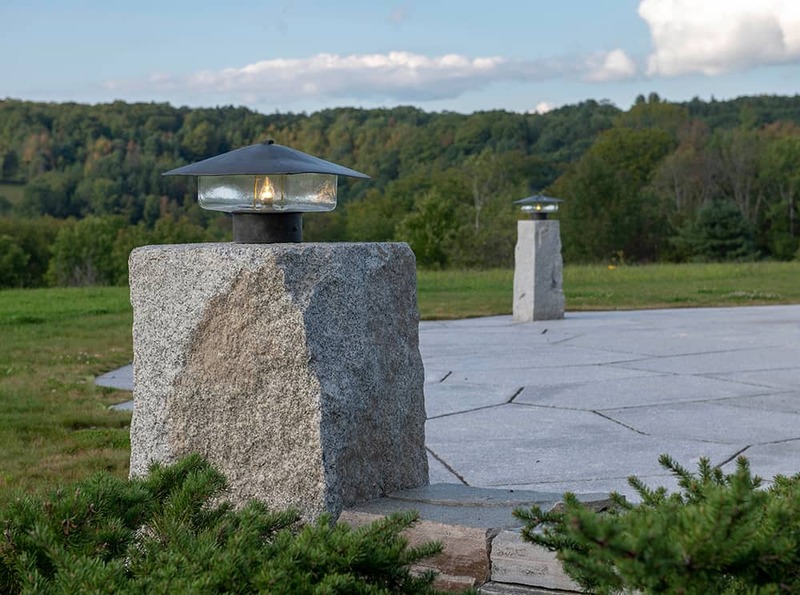 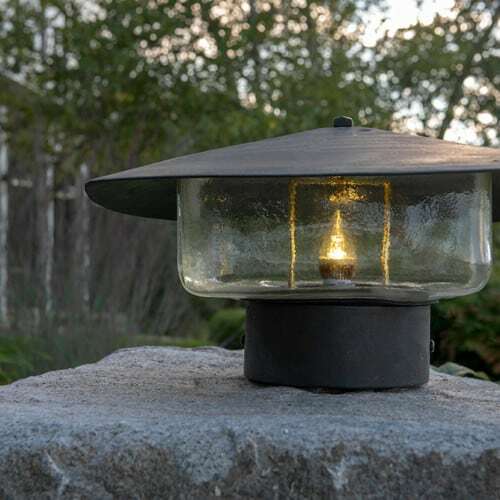 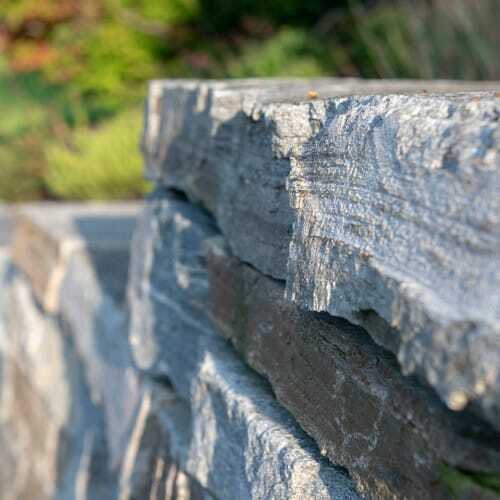 Granite posts hold one of our favorite lights made by Coe Studios. 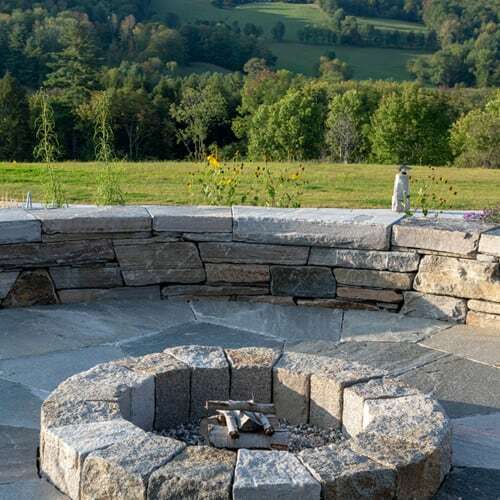 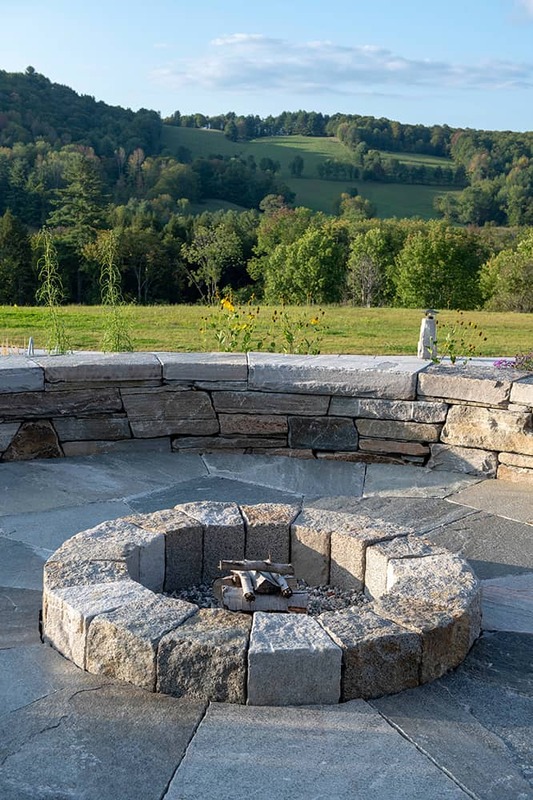 A circular firepit sits halfway down the steps, uniting fire, water, and view into one special place to be. 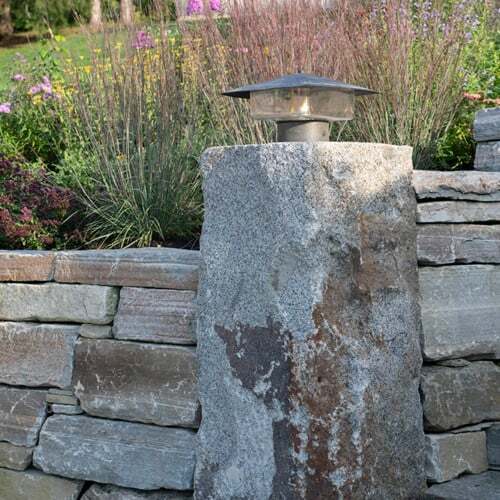 Landscape/Irrigation Installer: Robert Hanss, Inc.